Obituary for Maureen J. Walsh | Rhoney Funeral Home, Inc.
Maureen J. Walsh, formerly of Niagara Falls, NY, passed away Friday, January 18, 2019, in Upstate Medical Center, Syracuse, NY. She was born in Niagara Falls, NY, on July 28, 1949, the daughter of the late Robert W. and Jean I. [Murphy] Swartz. Maureen graduated from Madonna High School in 1967 and from St. Mary's Hospital School of Nursing. 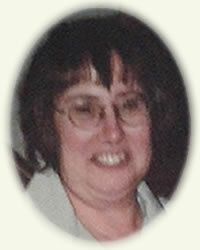 She was a Registered Nurse with St. Mary's Hospital for over 33 years. Maureen had lived in Middleport for 5 years before moving to Syracuse 8 years ago. She enjoyed spending time with her family and would never be seen without her knitting needles and yarn. Maureen was the wife of Charles Walsh and the late Allan Seward who passed away in 1998. She is survived by a daughter Jennifer (Scott) Temple, a son R. John (Misti) Huttlemayer, three grand daughters Emily, Sara and Brittany, six brothers Lee (Florence), Rev. Michael, Paul (Carol), Dennis (late Anne), Donald (Patricia) and Lawrence (Jonna) Swartz, two sisters Karen (Richard) Smith and Mary Anne Swartz, her aunt Sr. Bernadette Geiser, two sister in laws Joanne and Linda Swartz. Also many nieces, nephews and cousins. Maureen was the sister of the late Timothy and Philip Swartz and aunt of the late Joshua Swartz. Her family will be present on Tuesday from 3-7 PM at the RHONEY FUNERAL HOME, 1124 Ontario Avenue, NIAGARA FALLS, NY, where funeral services will be held on Wednesday at 8:45 AM, followed by a Mass of Christian Burial at 9:30 AM at St. Peter's Church, 620 Center Street, Lewiston, NY, with Msgr. David G. LiPuma officiating. Flowers are gratefully declined. Memorials may be made in her name to St. Jude Children's Hospital.